It’s 11:30 p.m. on Saturday night, and you’re waiting for your teen to come home. Curfew was 11 p.m. and you’re frustrated that your teen has ignored the rules yet again. What is a parent to do? Do some research. Try to determine if the curfew you set for your teen is reasonable. Call a few parents of your child’s friends to find out when they expect their teens home. 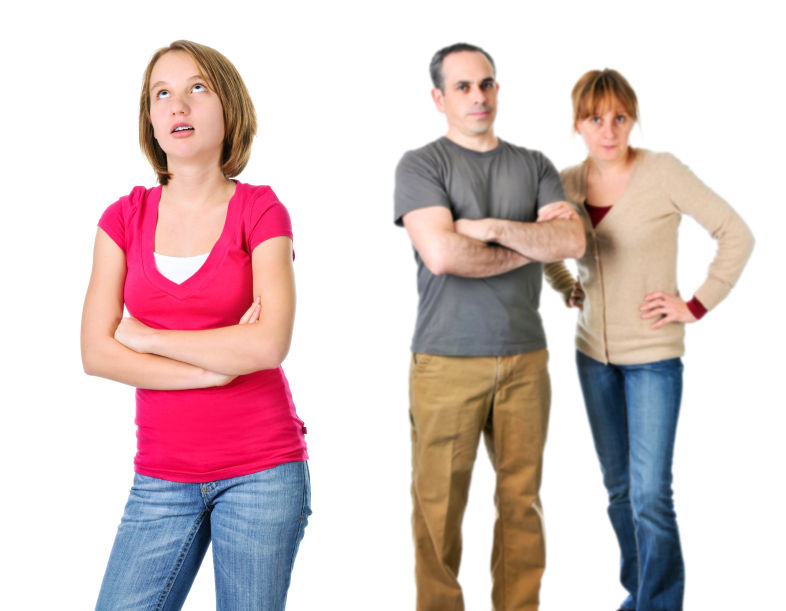 If your curfew is in line with what’s typical in your teen’s crowd, you will get less push back. Start by asking your teen what he/she thinks a reasonable curfew should be. What do they want and why? Try to understand the curfew problem from their perspective. This is also where your research will come in handy – are they asking for a curfew that is the same as their close friends? Explain the purpose of curfew. The typical teenager hates curfew because they believe it’s about control, but that’s rarely the case. Curfews teach teens self-control, time management, and responsibility. They also help to ensure teens are safe and getting enough sleep to function well the next day. Curfews are a tool to keep your child healthy, productive, and safe. Agree on a curfew. Talk to your teen about why the current curfew is not working for them and why you would like to see your teen come home at a certain time. Discuss your comfort level and the safety of your community, and then work together to come to an agreement on a new curfew that you can both live with. Some parents prefer to have a set curfew (e.g., always 11p.m. no matter what), while others prefer to vary curfews based on the circumstances (e.g., 10p.m. on weekdays, midnight on Saturdays). Experts note that flexibility encourages a teen to demonstrate responsibility in exchange for expanded privileges. A flexible curfew is where you give permission ahead of time to stretch the usual curfew on a special night because your teen has proven he/she routinely gets home on time. Having a flexible curfew is particularly a good idea in the last year of high school to allow your teen the chance to prepare for college life, where it’ll be his/her decision when to head home. You want your teen to make smart decisions himself, rather than depend on someone else telling him what to do. Set expectations. If you haven’t already, parents should make it clear what they expect when their teen is going out with friends. For example, parents should always know where their child is at all times, your teen cannot go out if their homework is not complete, and your teen must be getting enough sleep to focus in school and manage stress. You might require your teen to check in when they get home, even if that means waking you up, or arrive quietly to respect others in the home who need to get up early the next morning. Clearly lay out what you expect. Establish consequences. Decide ahead of time what the consequence will be if your teen should break curfew again. Some parents prefer to “ground” their teen, perhaps not getting to go out the following weekend, while others prefer to rollback privileges, such as requiring a 11p.m. curfew after they missed the 11:30p.m. curfew. If you set the consequences ahead of time and your teen knows what to expect, it helps your teen to better accept the consequences of their actions. It also prevents parents from imposing an unreasonable consequence in the heat of anger. Monitor your teen. After having the discussion, it’s time to monitor your child’s behavior. If they are consistently trying to meet the new rule, you can consider the curfew a success. If it seems like your child is still defiantly breaking the rules, or appears to be staying out late because he/she is up to no good or doesn’t feel happy at home, then it’s time to have a heart-to-heart talk with your teen to figure out what might be going on. There may be underlying problems. Teens often test limits, and most likely they will test your curfew. Parents should take a matter-of-fact approach to this problem. Create rules around curfew that work for your family, design consequences for breaking the rules ahead of time, and be consistent about sticking to them. When you make a rule, you have to mean it. You can’t bluff teenagers – they will always call you on it.